Promoter will assist the Coordinator for the achievement of general project objectives, supporting the quality procedures and partners coordination tasks. Antonella Fresa has been appointed as Technical Coordinator of the project. Furthermore, a very valuable contribution to the dissemination is provided through the portal www.digitalmeetsculture.net. 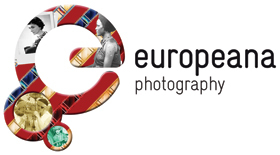 EuropeanaPhotography (EUROPEAN Ancient PHOTOgraphic vintaGe repositoRies of digitAized Pictures of Historic qualitY) is a digitisation project playing a key role in ensuring that digital content related to ancient photography is accessible in Europeana. In fact, Europeana has an impressive mass of images mostly representing cultural objects while photographic images, the early ones in particular, are underrepresented. EuropeanaPhotography will fill this gap by providing photographic masterpieces from 1839, with the first example of images from Fox Talbot and Daguerre, to the beginning of the Second World War (1939). The project will last 36 months from 1st February 2012 to 31st January 2015. • Trends or movements (industrial revolution, women's emancipation, artistic movements, geographic explorations).